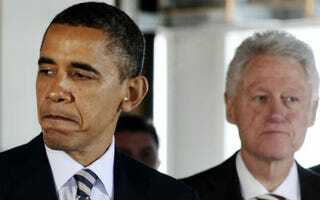 Did Bill Clinton Call Obama 'Amateur'? Marissa Alexander sentenced to 20 years: Marissa Alexander, the 31-year-old Florida woman who fired what her family calls a warning shot at her abusive husband, was sentenced Friday morning to 20 years in prison. Did Bill Clinton call Obama an amateur? That's what Edward Klein reportedly said in his new book, but a lot of people are taking the "news" with a grain of salt. The Root's Black, Fit & Healthy Family Day Saturday: With a focus on obesity in the black community, The Root, Dominique Dawes and others are coming together for a day of fitness and family fun on Saturday, May 12, in Landover, Md., to focus on solutions to and prevention of obesity in the black community. The mission of the "Black, Fit and Healthy Series" is to galvanize attention and raise awareness of what many are calling a potential epidemic. Whitney's Houston's family to star in reality series: Should a teenage girl grieving over the passing of her mom be the subject of a reality series? That's the question that a lot of people are asking upon the news that, months after Whitney Houston's sudden death, her family has signed on to do a reality series. Lifetime has picked up The Houston Family Chronicles, a 10-episode docuseries to premiere later this year.